Horsey Stuff • Products ReviewsHorse & Hound's Ask The Vet : and my other choices. 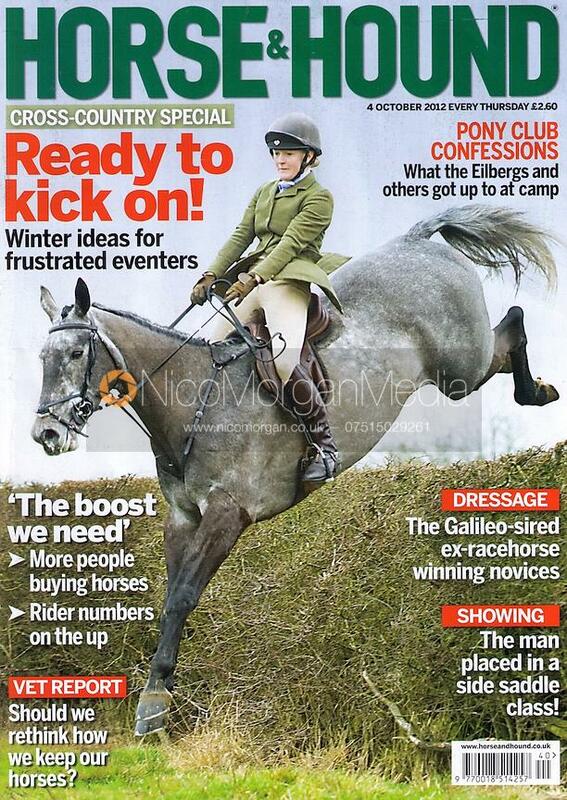 I’m sure many of you have a favourite horsey magazine, which you either get regularly or pick up when you see them. I tend to go through phases where I will buy them and read them cover to cover and then wont buy another one for a month or so. However, as a general rule, if I am going to buy one, it is usually Horse & Hound or Horse and Rider, but if anything else catches my eye I will get that too! I like Horse & Hound for several reasons, the first being that it comes out every week, so it will have the very latest news, compared to magazines which come out monthly. I also find that it is fantastic if you are interested in a certain discipline as there are sections of news, results and often tips just for you. However, I do sometimes think that it might not be very appealing to the owner or rider who isn’t interested in competing as it is very progress and competition driven in my opinion. My other choice is Horse and Rider. This magazine comes out every month and I feel it is aimed at the more everyday owner. It still has information about training and competitions, however, there seems to be a lot more about general health and care of you horse. In the September 2015 issue there is an article on when to retire a horse and individual turnout, both which I find very interesting and I’m not sure you would find them in Horse & Hound. 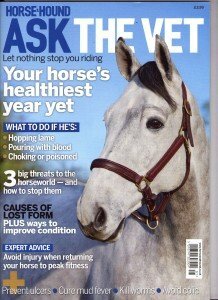 Over the weekend, I bought Horse & Hound’s Ask The Vet for the first time and I think it is brilliant. I think there are only a handful of issues a year, but after reading the winter 2015 one, I can highly recommend it. It is a great resource for all horse owners and riders. 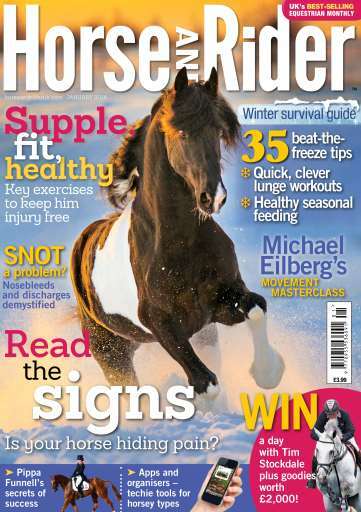 In this issue there were tips on managing your horse throughout winter and I love reading about all the conditions and their treatments, which is what this magazine largely consists of. Very little of this issue directly related to Scottie, however this wasn’t a problem for me but I could see how it wouldn’t appeal to others. However, if you see it in a shop, read the contents page as there might be something you have been thinking about or a horse you know may have been diagnosed with. Many of the articles have case studies to tell the story of other horses who were in this situation. What magazines do you read? Or do you just rely on social media? Following Horse & Hound on facebook and twitter means you get to see lots of their articles!